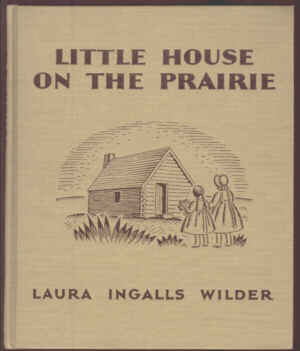 By Caroline FraserThe Little House books, eight novels published between 1932 and 1943, are Laura Ingalls Wilder’s tribute to the great plains and her homesteading family. “I realized that I had seen and lived it all,” she wrote later, “all the successive phases of the frontier […] a whole period of American history.” Written during the depression, when the author was in her sixties and seventies, these autobiographical narratives of enduring wildfire, drought, locusts, tornadoes, and blizzards have sold tens of millions of copies. Condemning “welfare-state redistribution,” Clyne embraces the 1862 Homestead Act, central to the later Little House books. Yet it was one of the biggest federal handouts in American history. Clyne praises it as policy that “encouraged habits of self-reliance rather than undermining them,” but it sought to give away a trillion acres of “free land,” as it was called, in 160-acre parcels to those over twenty-one if they could live on it and improve it over five years. Homesteading was no picnic, as Wilder makes clear, but everyone at the time knew it was a giveaway. Wilder remembers her father singing, “Uncle Sam is rich enough / To give us all a farm!” a popular ditty that hardly comports with Clyne’s contempt for “the crutch of government support.” The Homestead Act was not a particularly successful incubator of self-reliance, as only a fifth of the land went to small farmers, and less than half of all homesteaders managed to make the necessary improvements to keep it. The Act was also undermined by fraud and land speculation: Much of the property was acquired by railroads and large ranching interests.Comment: Cline's views are classic American myth-making. Celebrate land theft under the rubric of "pioneering." Ignore the Indians and our immoral acts against them. Relabel government handouts as "self-reliance." In short, refashion America as a great white bastion of Euro-Christian triumphalism. Shout "USA is no. 1!" for people with fragile egos who can't handle the complex truth. Hold the hands of weak-kneed Americans so they won't bawl like babies. For more on this conservative rewriting of history, see GOP America = Strivers vs. Parasites and America's "Bootstrap Theocracy." For more on Little House on the Prairie, see Wilder the Typical Conservative and Little House on the Reservation. Weren't they government-subsidized, though? Obviously if you consider that the U.S. government went to war with the Sioux (one time) because the Sioux euthanized a runaway cow owned by a Mormon (and then ate it), that is government subsidy.